The Danish People's Party wants Denmark out of an agreement it believes undermines the nation's "social and cultural cohesion." Denmark's Immigration Minister, however, defended the agreement, while stressing that the government isn't in favor of importing more Africans. The Danish People's Party (DF) demands that the government suspend Denmark's participation in the so-called Marrakesh Declaration on immigration from Africa to Europe, Danish Radio reported. The DF claims the Danish government was far too quick to pull the trigger when, in May of this year, it joined the Marrakesh Declaration, which was signed by 27 EU member states and 28 African countries. The DF is demanding a stop in Denmark's participation. Despite the fact that the declaration is not legally binding, the DF demanded a pullout until its exact demands on Denmark's government are made clear. As part of the resolution, the signatories agreed to work to improve opportunities for young people and children to come to Europe for employment or education. DF foreign rapporteur Martin Henriksen voiced his particular concern over its wording concerning "legal migration and mobility." "Firstly, we, the Danish People's Party don't really believe this is a fantastic idea. Secondly, this type of immigration affects Denmark's social and cultural cohesion, and we're currently having a larger discussion on whether there is any need to further facilitate the import of foreign labor," Henriksen told Danish Radio. So far, Hungary has been the only EU country to abstain. As Hungarian Foreign Minister Peter Szijarto put it, the Marrakesh Agreement "can unleash a new wave of immigration." By his own admission, Henriksen has no qualms about joining Viktor Orban among the EU dissenters. "I happen to have had the pleasure of visiting Hungary. I have also met different representatives of the political system in Hungary. I have no need to say anything bad about Hungary. The people I've talked to seem like sensible people. I don't see anything terrifying in joining Hungary." 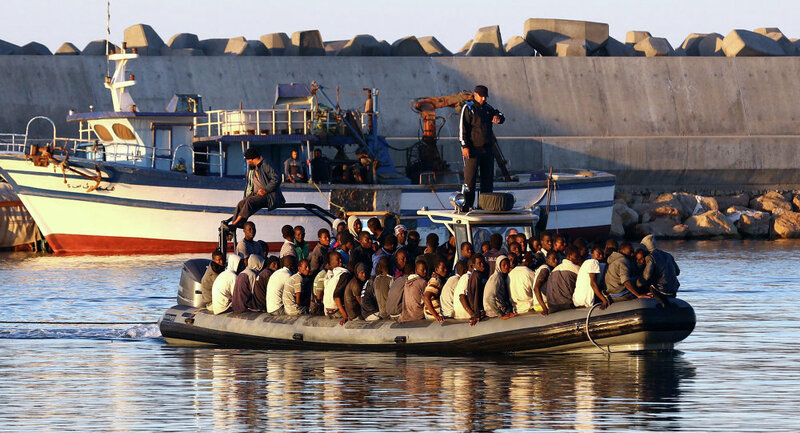 Denmark's Immigration Minister Inger Støjberg, a member of the center-right Liberal party, said that Denmark is already committed to the Marrakesh agreement, which, she argued, will help to stop the influx of illegal immigrants across the Mediterranean. At the same time, she rejected the assertion that the government seeks increased immigration from Africa. "I can clearly say that we don't want more Africans to come to Denmark. Should they be coming, Africans must make a positive contribution, then live up to all the requirements we currently have in place," Inger Støjberg told Danish Radio. At present, over 8 percent of Denmark's population of 5.6 million has a foreign background. Somalis constitute its largest African community, numbering more than 25,000.